We invite you to experience the diversity the Eugene, Cascades & Coast region of Oregon offers in its beauty, history, culture, recreation and shopping. The possibilities are as diverse as our landscape and as wonderfully memorable. 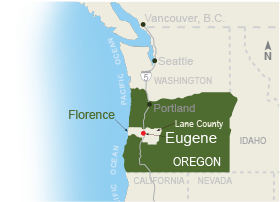 Eugene, Cascades & Coast stretches from Florence on the Central Oregon Coast through Eugene-Springfield eastward to the crest of the Cascade Mountains. 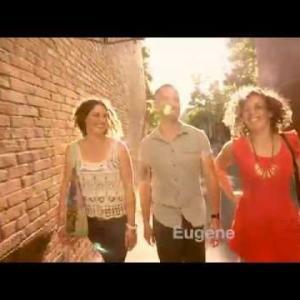 Be a Eugenian for a few days and find out how easy it is to experience our delightful university atmosphere, our easy accessibility to Portland, the beach, Willamette Valley wineries, historic covered bridges and mountain bike-worthy single track. Tools are available online to help plan and market your tour such as high-res images and itinerary suggestions. We hope you will contact us for personal assistance, or to simply gain a local perspective. Tax-Free shopping, attractions, dining and accommodations that fit your group’s needs are what we can help you qualify. We look forward to sharing Eugene, Cascades & Coast with you.